A particularly timely read and a much needed dose of empathy and compassion about preconceived notions of those people and things we may not fully understand. 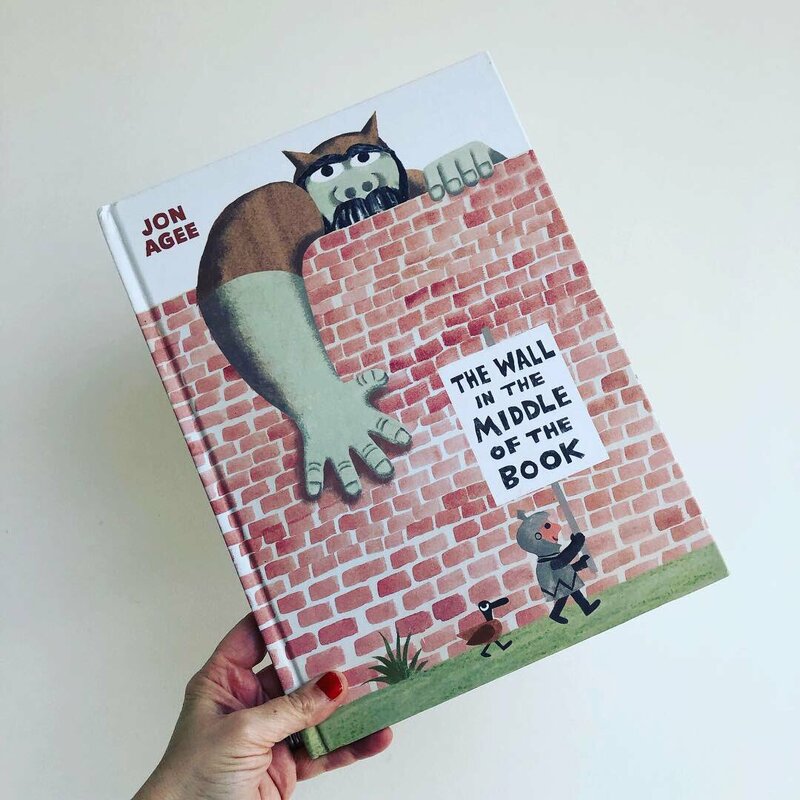 ‘The Wall in the Middle of the Book‘ by Jon Agee is an astutely observed story for a younger audience, with a good helping of political commentary nestled amongst the bold imagery and sparse but perfectly placed narrative. 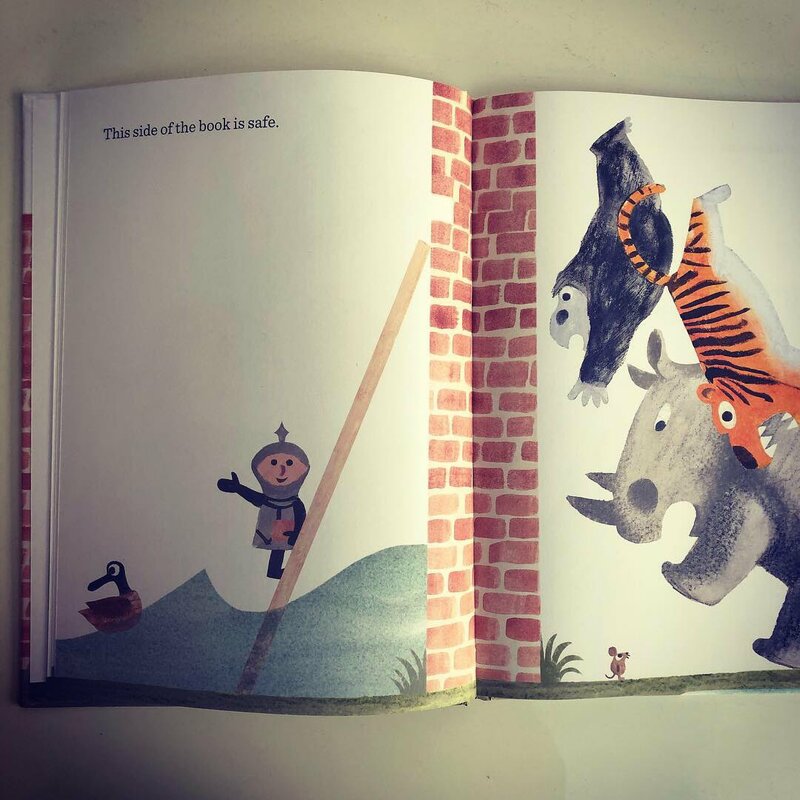 Jon Agee has a knack of creating deceptively simple picture books which pack some punch and this book certainly delivers on all fronts. Packed with oodles of visual humour and great comedic timing, the audience is treated to some hilarious insider information, which makes this book even more compelling. From the hugely expressive ogre to the rather foolish and unsuspecting knight, Jon Agee has captured the characterisation of the main protagonists to a tee. 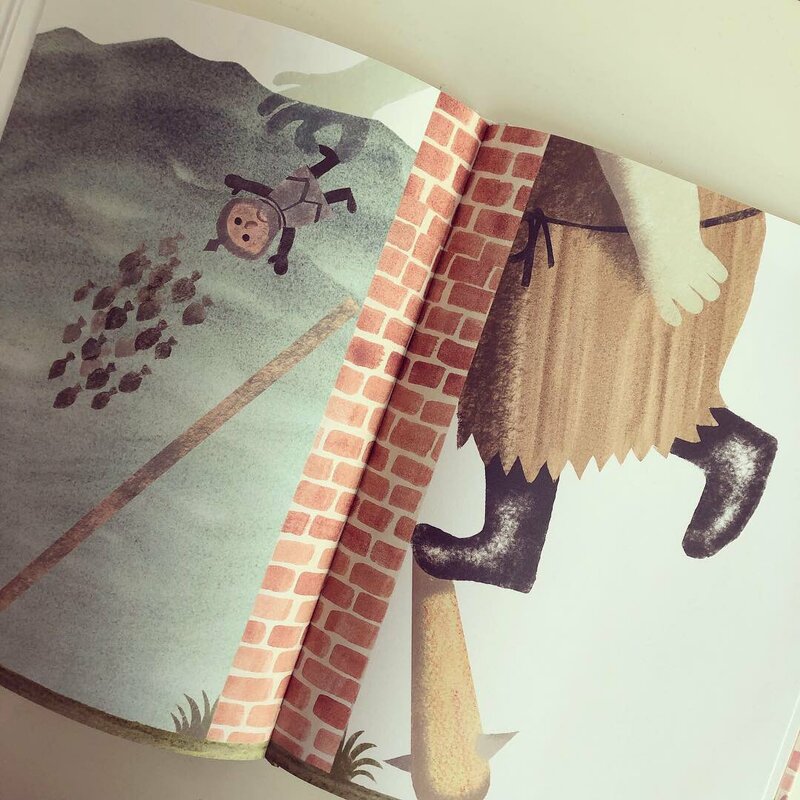 His pacing and visual humour is extraordinary, which will delight audiences of all ages. This picture book should be shared far and wide, particularly with the next generation, to encourage empathy, compassion and understanding. This is a joyous celebration of freedom of movement and thought. It acts as a stark reminder of how we may have ill-conceived notions of things and people we may not understand and how wrong we all too often can be. 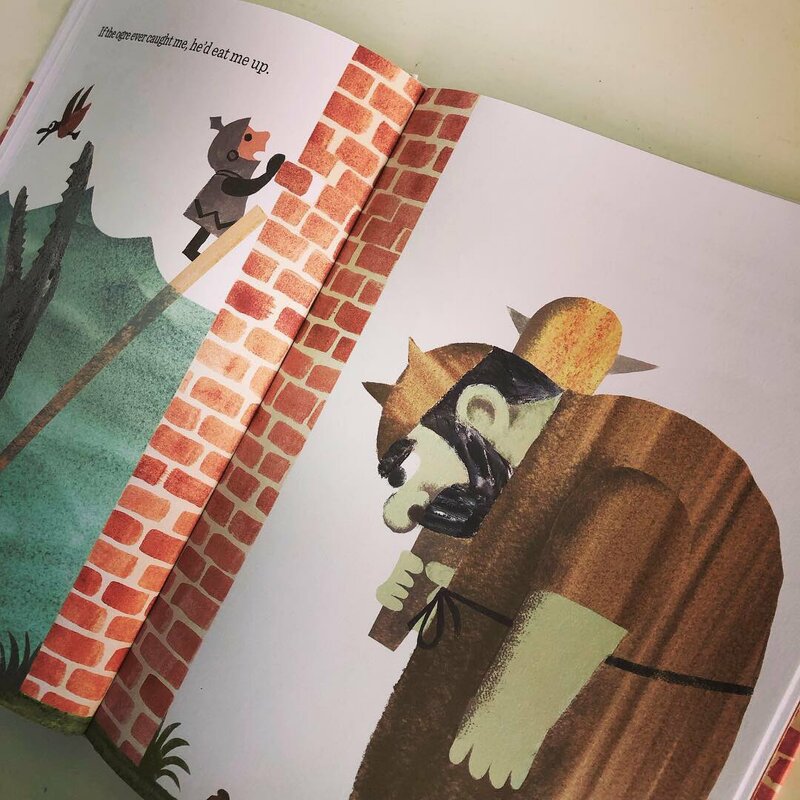 Creatively executed, succinctly written and illustrated with thought and humour, this is a must-have on shelves and in libraries everywhere.